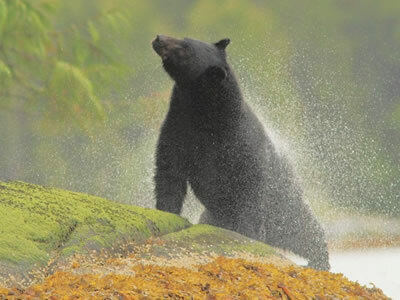 Welcome to December's issue of the Dereila Nature Inn newsletter. 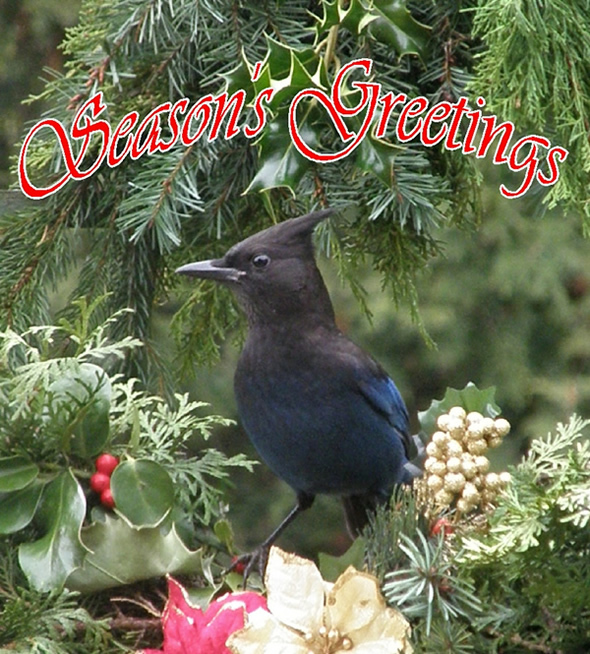 A Steller's Jay bids you welcome this month with a special Twelve Days of Christmas feature. 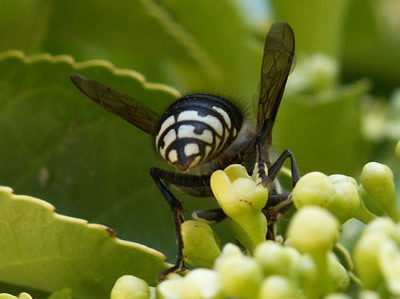 2011 has been a busy year at the Inn with lots of new pages and features added. We really appreciate your support and also thank you all for subscribing to this newsletter. In this issue there's a photo tip for photographing mushrooms, a lovely river in Hawaii and lots of super nature photos we hope you'll all enjoy. Which wildflower, once classed as a weed, was crossed with another flower in 1890 creating the Shasta Daisy? 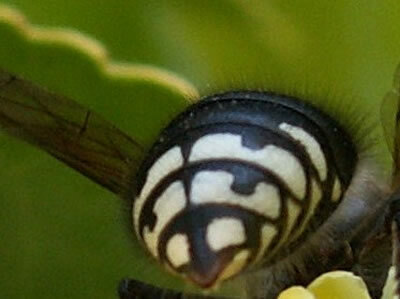 This is another crossword featuring a selection of bugs of the month. This project makes an interesting feeder in which you can hang berries. We really appreciate your contributions. Many thanks, everyone! 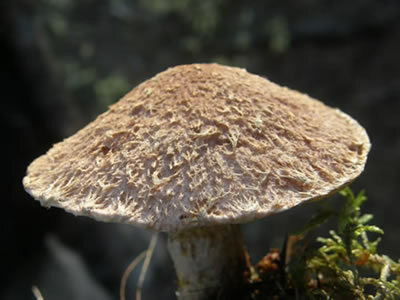 Autumn was mushroom season which reminded us of a feature called "Understanding Mushrooms" - an article about stipes and gills, pores and spores. Our wanderings this month took us down into the west coast rain forest where we came across a pretty little wildflower. 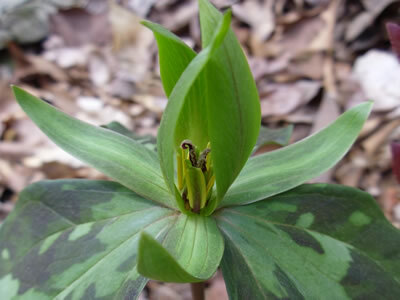 The Western Trillium is the only wildflower protected by law in British Columbia. 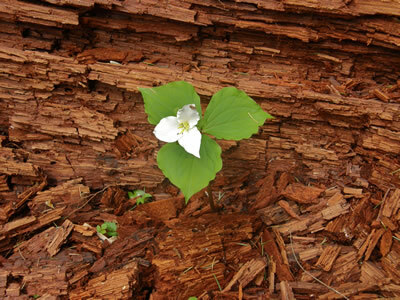 Here it was spotted growing in a most unlikely place: amongst the rotting remains of a fallen tree. Number one: "Hurry up! Get your skates on." Number two: "When is it spring?" 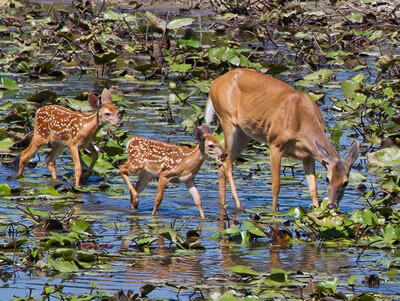 A White-tailed Deer family enjoys the wetlands in Noxubee National Wildlife Refuge in central Mississippi, one of over 500 wildlife refuges in the United States. Thanks to Judy Howle of Columbus, Mississippi for the image. It was once believed, for some reason or another, that Orange Hawkweed, Hieracium aurantiacum, helped improve a hawk's vision which explains this plant's common name. This belief is also revealed in its scientific name. 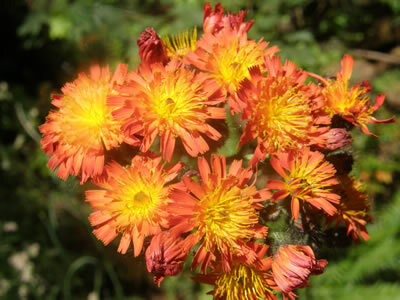 Hieracium comes from the Greek word hierax ("hawk") and aurantiacum means "orange-coloured." 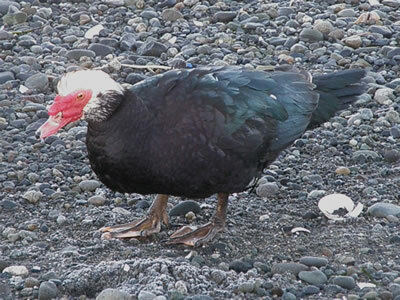 A Muscovy Duck went into the bar and asked the bartender for seven drinks. It downed them one after the other, bam, bam, bam! The bartender was amazed and said, "I've never seen anyone drink like you do." 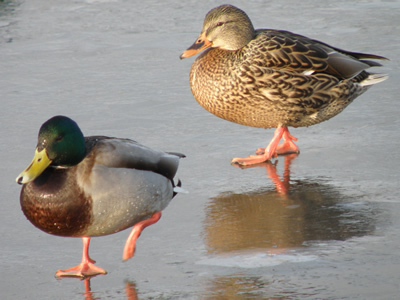 The duck looked up and said, "You'd drink like I do if you had what I have." The bartender, feeling sorry, asked what he had. The duck smiled and said, "Twenty cents." "Gotta get them any way you can." Be sure to keep those water dishes ice free and topped up with fresh clean water. 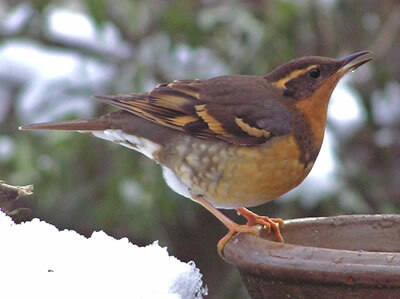 Birds really need a supply of water when frosty, snowy days arrive. 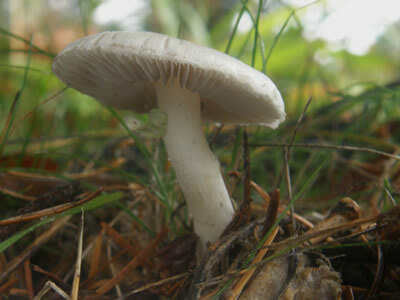 One of the harder things to do when looking at a mushroom is seeing its underside. 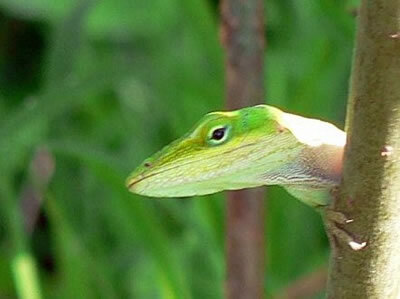 The underside can be very important when identifying some species. 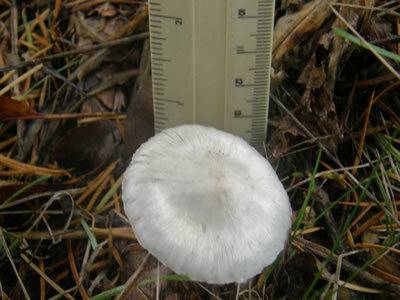 With very small specimens like this one which is about an inch high, seeing the underside without picking the mushroom is virtually impossible. A mirror can be useful in a couple of ways. 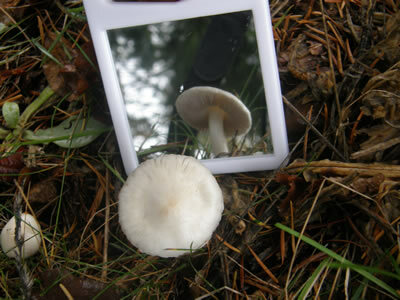 First of all, you can see the underside and secondly you can take a photograph if you can position the mirror to get a good reflection. Go in as close as possible with your camera, frame the mirror and snap the picture. 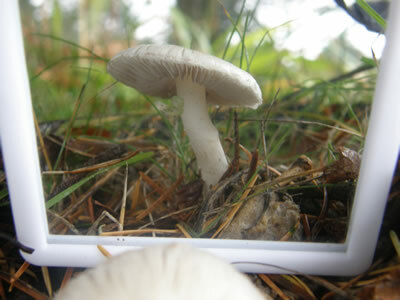 After cropping the photograph you can get a reasonable image without disturbing the fungi. 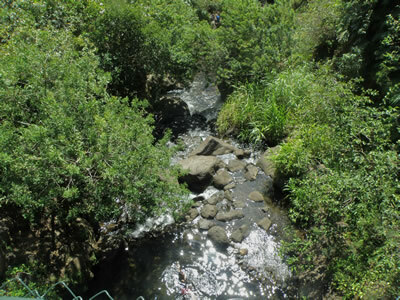 Kinihapai Stream flows magically through beautiful Iao Valley State Park on the Hawaiian island of Maui. This peaceful scene was once the site of violent tribal battles. 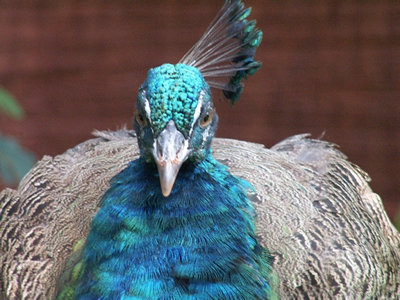 Did you know the spectacular peacock is the official bird of India? 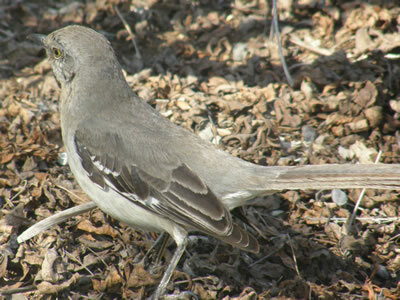 The chatty Northern Mockingbird, Mimus polyglottos, is the state bird of five states: Arkansas, Florida, Mississippi, Tennessee and Texas. 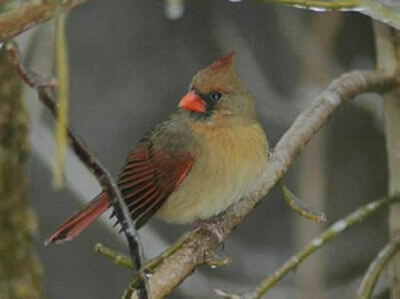 To see our collection of state and provincial birds just click here. 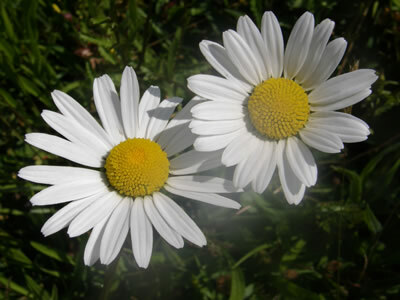 The Oxeye Daisy was crossed with another flower to create the Shasta Daisy. 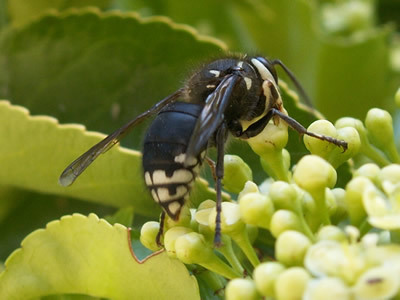 This month's close-up image is a Bald-faced Hornet. How did you do? Here's another shot of it. 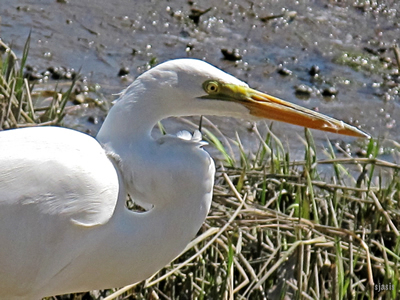 We hope you've enjoyed our newsletter for this month and that you'll forward it on to your nature-loving friends. We'd like to send everyone our very best wishes for the holiday season and much happiness in 2012. 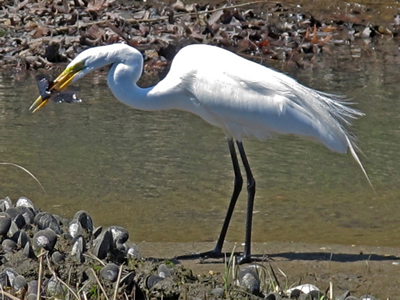 Watch for the next issue of Whispers in your inbox during the first week of January 2012. See you then!